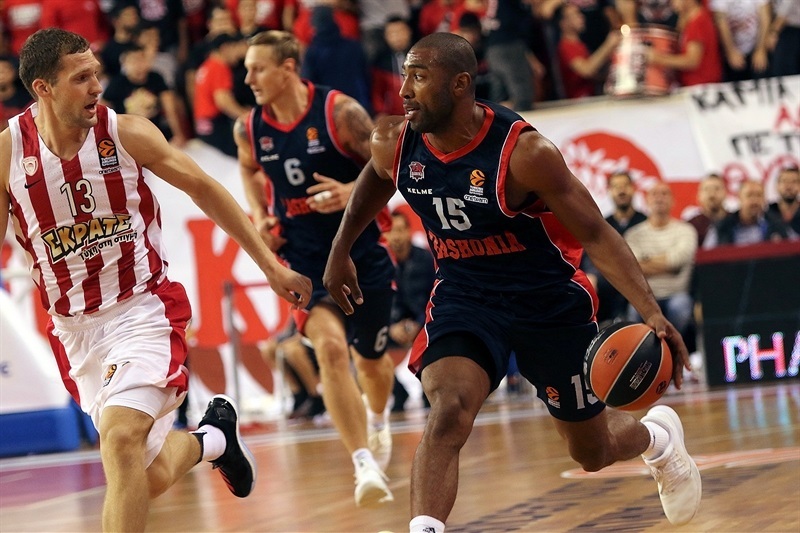 Olympiacos Piraeus started the 2017-18 Turkish Airlines EuroLeague season in style by downing Baskonia Vitoria Gasteiz 75-64 in Crete on Thursday. 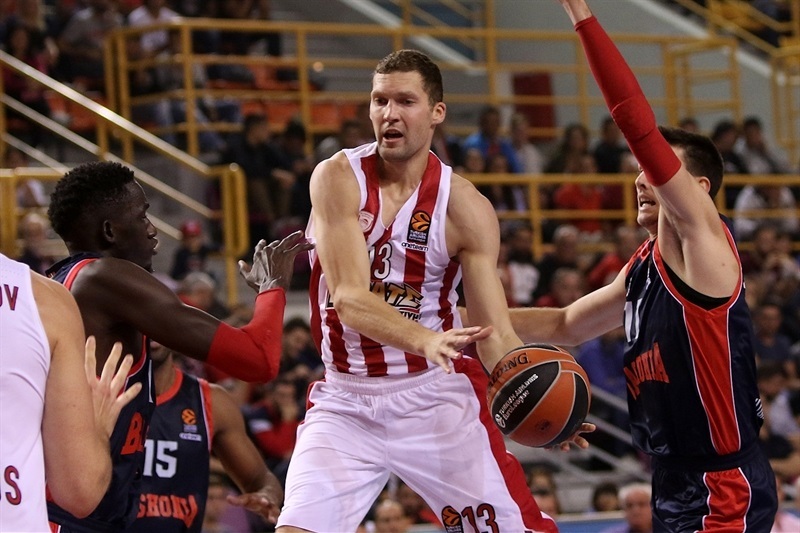 Olympiacos registered its sixth consecutive win against Baskonia in EuroLeague action and its 13th straight home win against the Spanish powerhouse. 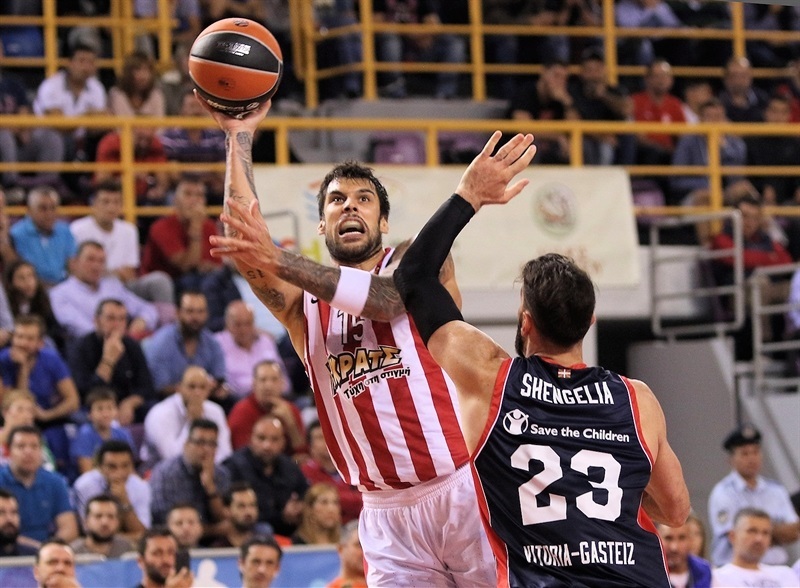 Georgios Printezis led the winners with 17 points on 8-of-12 two-point shooting. 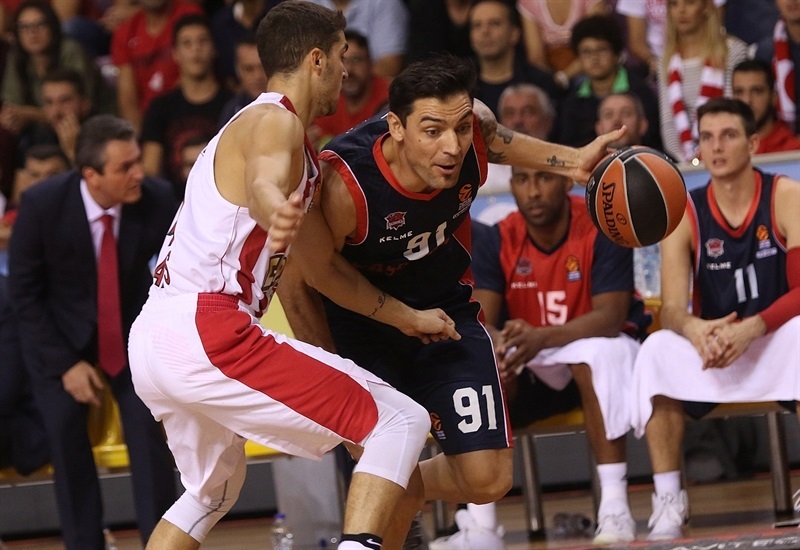 Dimitrios Agravanis added 13 while Kostas Papanikolaou had 11 for the Reds. 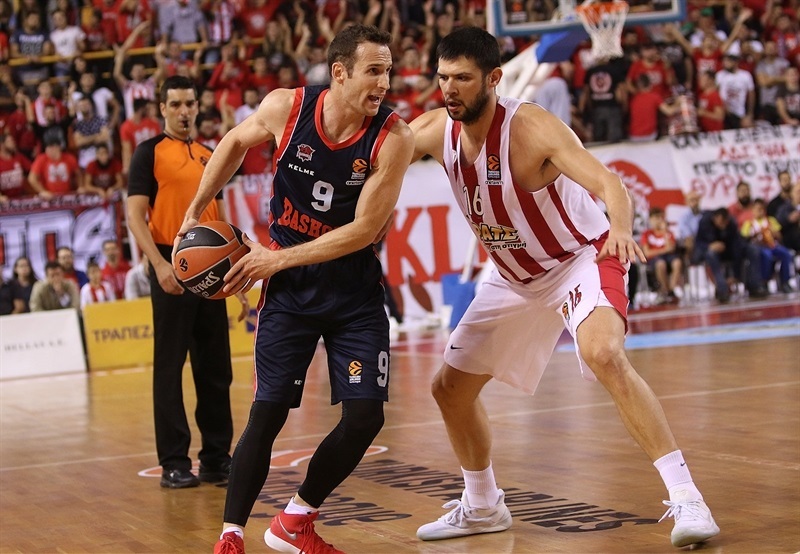 Toko Shengelia led Baskonia with 13 points, Jayson Granger added 12, Johannes Voigtmann had 11 and Marcelinho Huertas scored 10 for the visitors. 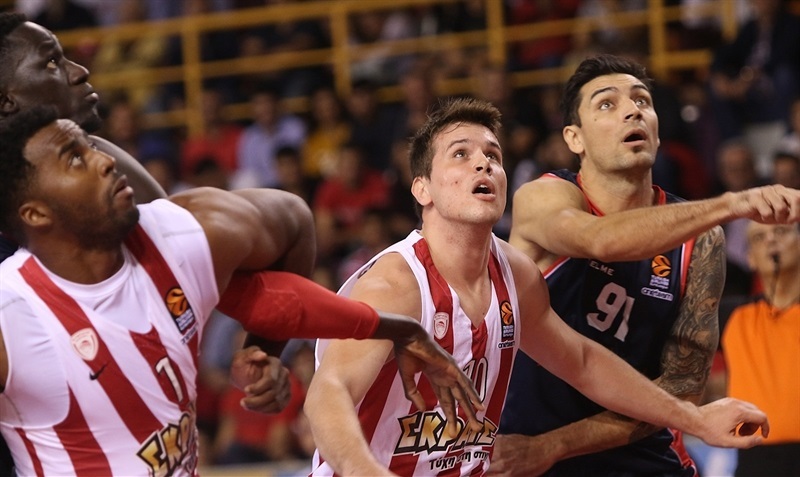 Olympiacos only trailed early in the game; Agravanis led his team to get a 16-12 advantage after 10 minutes. 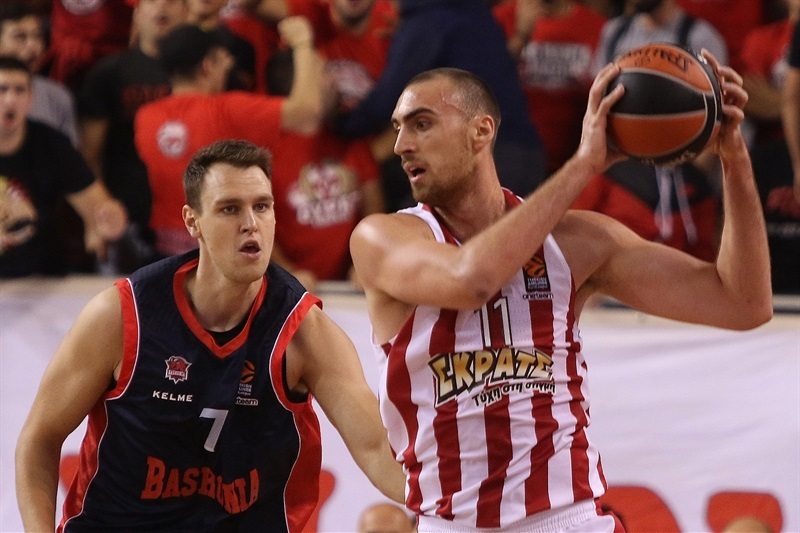 Olympiacos improved its margin to 41-33 and then again to 70-54 midway through the fourth quarter to cruise to a well-deserved win. Printezis got Olympiacos going with a jump hook, but Shengelia and Granger fueled a 0-6 run that gave Baskonia the lead, 2-6. 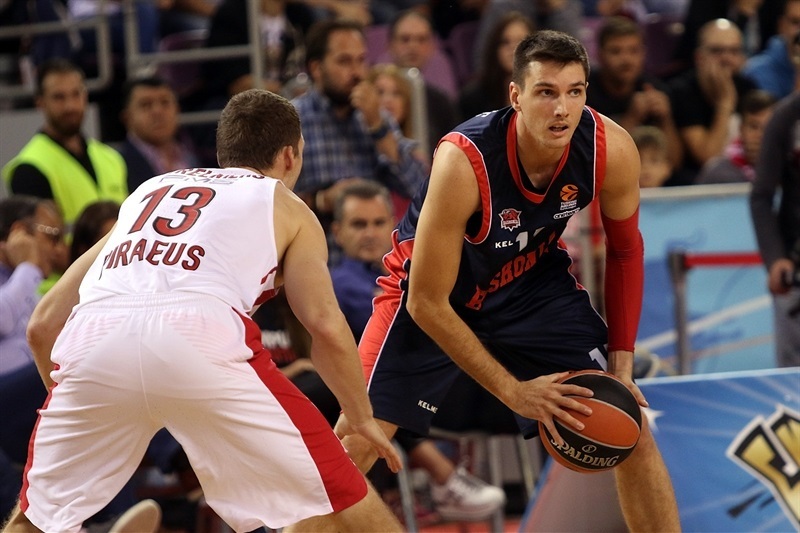 Nikola Milutinov stepped for the hosts with a pair of dunks before Shengelia and Granger put Baskonia ahead, 9-10. Voigtmann took over with an alley-oop layup, but back-to-back three-point plays by Agravanis put Olympiacos in charge, 16-12, after 10 minutes. 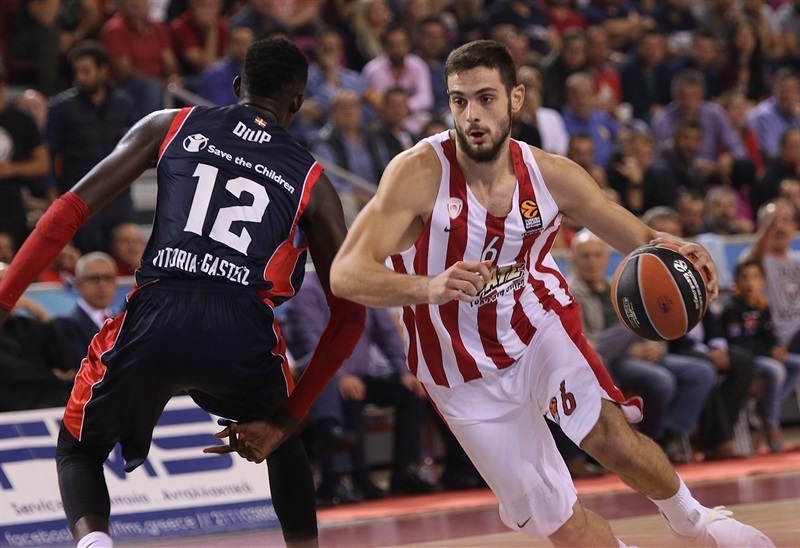 Vasilis Toliopoulos struck from downtown and got help from Hollis Thompson and Agravanis to boost Olympiacos's lead to 25-16. A jumper by Janis Strelnieks soon made it a double-digit game. Voigtmann and Granger tried to change things for Baskonia, but Strelnieks and an unstoppable Printezis made it a 13-point game, which Shengelia and Granger cut to 41-33 at halftime. 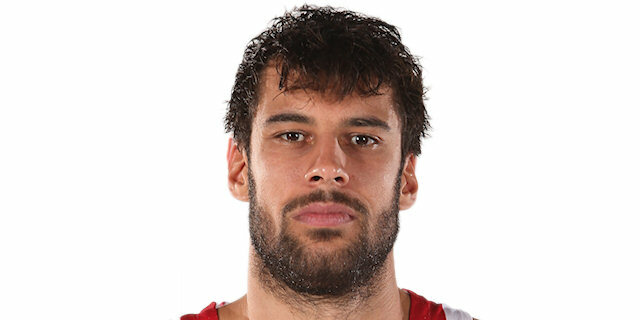 Printezis took over after the break with a couple of jumpers, a great assist to Milutinov and a show-stopping dunk that restored a 49-38 Olympiacos lead. Diop followed a slam with a three-pointer and Granger added a driving layup that caused the hosts stop the game at 51-45. Agravanis hit a triple, Thompson added a driving basket and a power layup by Jamel McNeal made it 60-49 through three quarters. A three-pointer by Janis Timma and a layup off a great spin move by Shengelia gave Baskonia hope at 60-54 early in the fourth quarter. Agravanis rescued the hosts with a jump hook and Papanikolaou struck twice from downtown to restore some breathing room. Huertas singlehandedly brought Baskonia within 71-64 with under two minutes left, but it proved to be too little, too late for the guests. "It is a very important win because the first game always brings a lot of suspense and it is more difficult for the home team to win it. We also had one reason to say this; we played in our home court, but in Crete. Although Olympiacos fans and all basketball people on the island helped us, it is not our natural home court. I want to thank and congratulate all the fans that came here and supported us. It is good that we gave them back the satisfaction that we won the game for them. 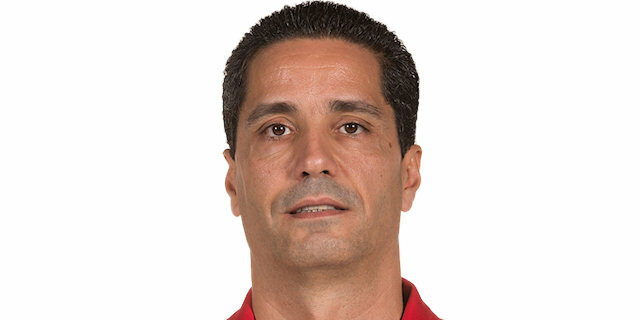 I want to thank everybody who is responsible for the organization of this game in Crete. We thank all of them for the great hospitality. About the game, I think we started a little nervous in the first four, five minutes but after that, we brought the game to our standards, controlled the game from our defense and started to play as a team, all together, on offense. Slowly, we got the lead during the first half, especially in the second period, when it reached double digits. I believe that, in the end, we had the control of the game in the second half. Baskonia tried to come back at the end but we didn't have any problems, insisting on our defensive plan and staying together, we scored some easy points on offense out of great organization between the players. I think the final score shows how the game went. I want to congratulate the players for this good win. We have a big way to go, but have to keep improving our game." "It was a good win. We reacted really well after the loss against Panathinaikos [in the Greek League]. We had a good start of the season against a very tough team and we have to continue, nothing else. We will try to improve game by game and get better."